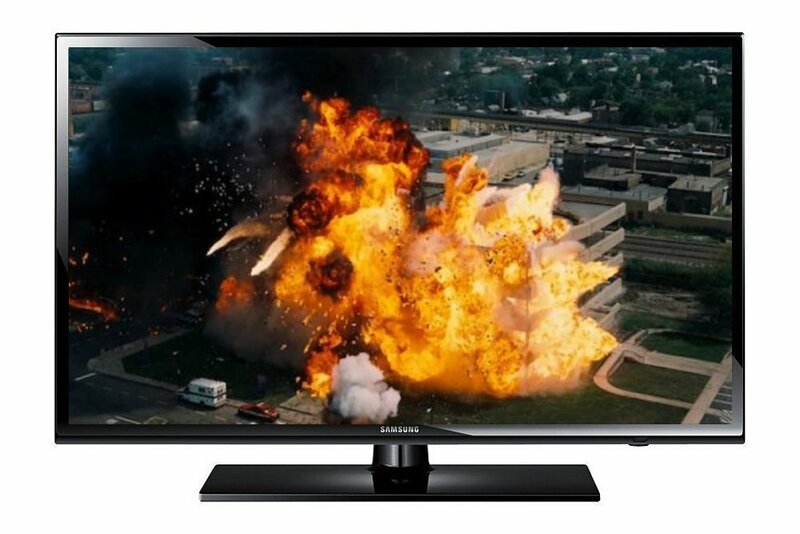 A good 32-inch TV with good picture quality that will impress most viewers. 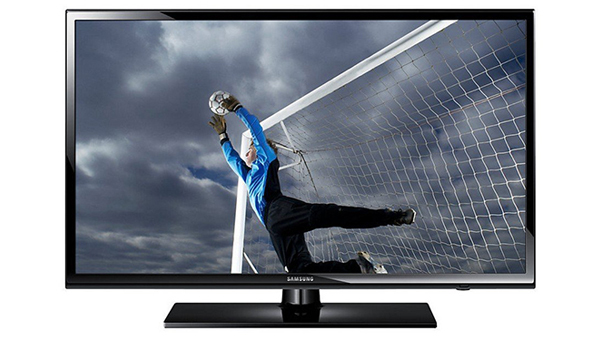 If you are looking for good picture quality in the HD ready range then the Samsung UA32FH4003R is a good purchase. At 32-inches, the TV is ideal for most homes, or even for the bedroom if you prefer to have a bigger TV in the common area. 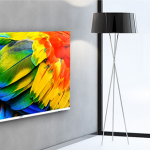 The Samsung offers decent picture quality, but it is better to set expectations at the outset: the UA32FH4003R is neither full HD, nor 4K, so if you expect brilliant picture quality you will be disappointed. It is HD-Ready, which means it will accept 1080p videos but it cannot display them natively. That said, the Samsung does have a good processing rate and the backlighting ensures that the picture has enough contrast for very good detail. 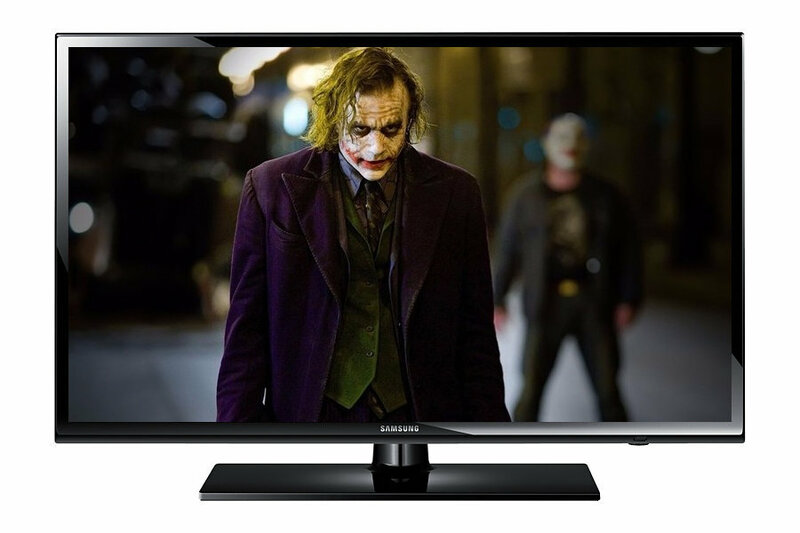 We watched The Dark Knight on this screen, and we were pleasantly surprised to see that even for a 32-inch TV, the amount of detail was easily discernible. The lapels on dark suits, the game of light and shade in the Narrows scenes, and other dark scenes did not blend into the background and offered up decent detail. The edges were easy to see, and there was a fair degree of depth between characters and the background, although not a great deal of it. In the scenes with night-time explosions, we expected to see some artifacts on the screen around the sudden blast areas, but Samsung’s Clean View mode largely took care of the artifacts, leaving very few of them on the screen. The picture was clear and had only momentary artifacts that would likely be missed by the majority of viewers. NB: Samsung’s Clean View mode claims to remove digital and analog noise from the scene, thereby enhancing picture quality. We tested the colour display capabilities of the Samsung UA32FH4003R with The Fall – a movie that has dazzling hues and eye-popping colours. This is where the TV fell short, because bright colours like red and emerald green didn’t really pop unless they were offset by blacks. But in brighter scenes, or outdoor scenes, the shortfall was not really easy to perceive because the colours balanced quite well. Foliage looked fairly natural, the flamboyance of the costumes were distinctive and skin tones looked natural, if a little flushed. The Samsung, in this test, provided decent bang for the buck at 1366x768p. NB: The UA32FH4003R uses an advance algorithm called Wide Colour Enhancer Plus to display a wider array of colours and improves picture quality by displaying more details. The UA32FH4003R has a refresh rate of 100Hz, which is quite good. We played the parkour chase scene from Casino Royale to test for lag, and the TV did very well in handling motion smoothly as Bond jumped from objects and platforms. There was nearly no perceptible lag, and for most viewers, the effect will seem quite seamless. 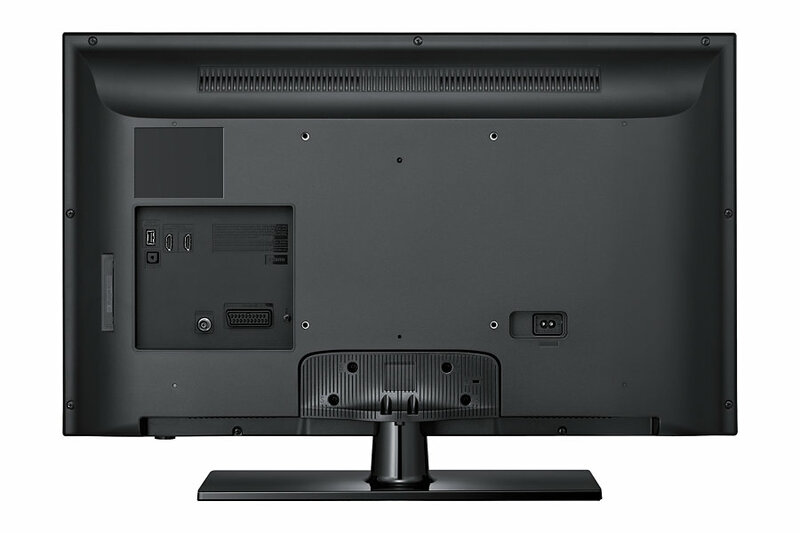 The sound on the UA32FH4003R was robust for its slim flat panel. The dialogue was clear over background sounds, and the explosion scenes had good bass, unlike most other slim TVs in the class. You can think of installing and hooking up a sound bar to the TV, but it may not be an immediate need. The sonic character is comfortable for use over long periods, and for a range of genres. Whether you are watching Friends, The Sound of Music, Masterchef Australia or movies like The Kingdom, the sound is good even without additional speakers or a sound bar. Samsung has kept things simple on the UA32FH4003R, with one HDMI input and one USB port on the back panel. A bit too simple we’d say, because one HDMI port is two too less – especially if you have a Blu-ray/DVD player, a games console and a set-top box to plug in. The USB port supports multi-format play, with a number of different codecs supported, so you can play music, watch videos and see photos after plugging in. The ConnectShare Movie feature allows this multi-format playing. 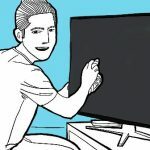 The viewing angle for the TV is 178 degrees on both the horizontal and the vertical viewing plane, making the Samsung retain viewability even when you move around the room. The sound of the TV is enhanced by Dolby Digital Plus sound system with DTS studio sound that makes the TV have enough balance in bass and treble so you don’t need any additional sound equipment rightaway. Samsung TV is equipped with block capacitors that allows the TV to absorb lightning strikes up to 15 KV. Also, each chipset is coated with Silica Gel and Anti-humidity glue to protect the TV from moisture. Finally, the TV comes with varistor blocks and capacitor that can withstand up to 750 V of high fluctuation, so you do not need a voltage stabiliser. 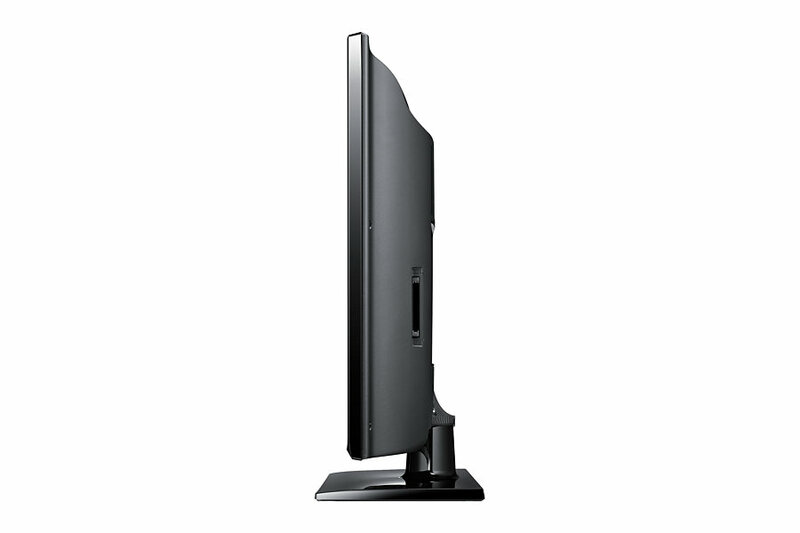 The Samsung UA32FH4003R is a stylist TV set. It is slim and flat panel and stands out against the chunkier design of a Panasonic at this class. The set comes with a stand that is easy to screw on, and wall mounts are available at an extra cost. 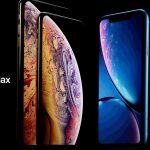 The Samsung is heavier than most of its competitors at almost 6kg, but the additional weight may have something to do with the better sound quality it offers. The build quality is sturdy, although it might not feel that way to touch. The remote control is slimmer and smaller than on a Sony or Panasonic with a large number of fairly big buttons clumped together. The build quality of the remote seems good, and the rubber buttons respond reasonably well. If you have big fingers though, the remote’s closely-set buttons may seem difficult to operate. The Samsung is easy to use, although the interface on a Sony might seem simpler. There are no lags, and scrolling the TV Guide is quick and smooth and the remote is responsive to the TV. 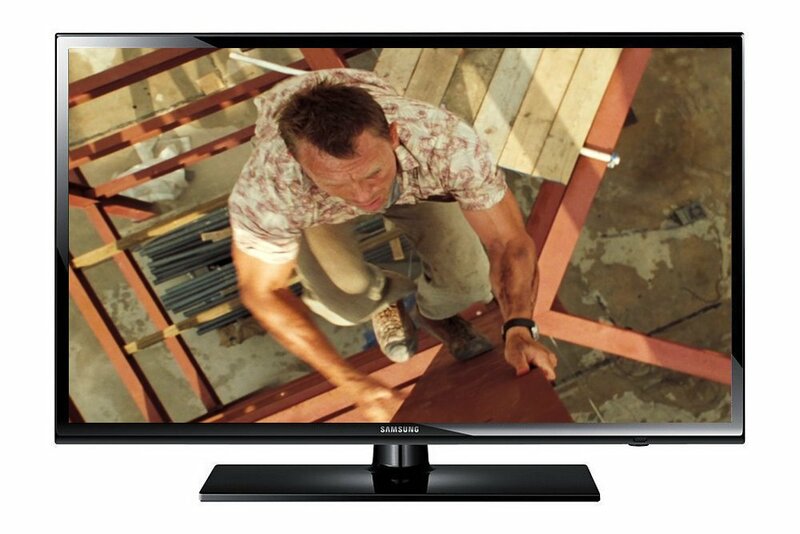 The Verdict: The Samsung UA32FH4003R is a good TV to have in the 32-inch HD-Ready range. If you are buying it, you are good for at least 3 years, because true HD content is still not very common, and the Samsung plays HD channels decently within its 1366x768p capability. In terms of sound and overall picture quality, it definitely does better than its rival Panasonic model. 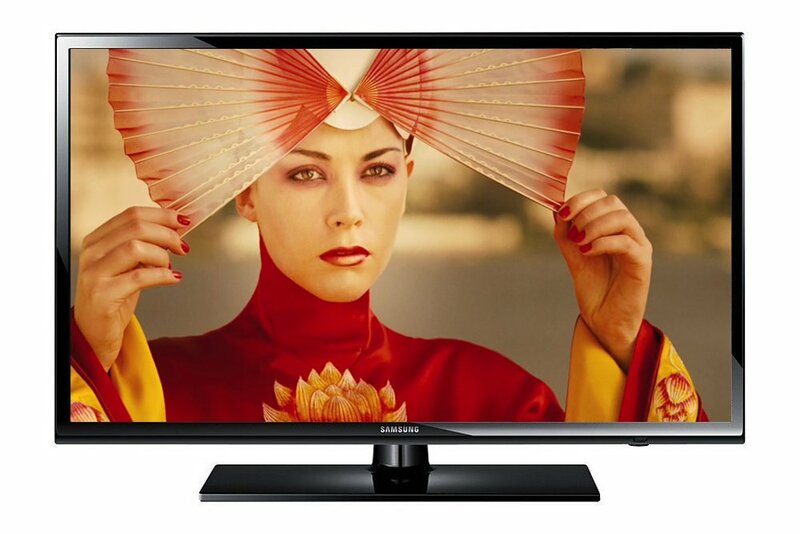 If you can live with colours not really looking outstanding, the Samsung UA32FH4003R is a good TV worth considering.